Dunkirk, Three Billboards Outside of Ebbing, Missouri, and The Shape of Water each picked up eight nominations from the San Diego Film Critics Society today. The group also recognized Lady Bird and Get Out with six nominations, followed by Call Me By Your Name and Beauty and the Beast with four. In a bizarre twist though, The Shape of Water was denied a Best Picture nomination despite being the nomination co-leader. 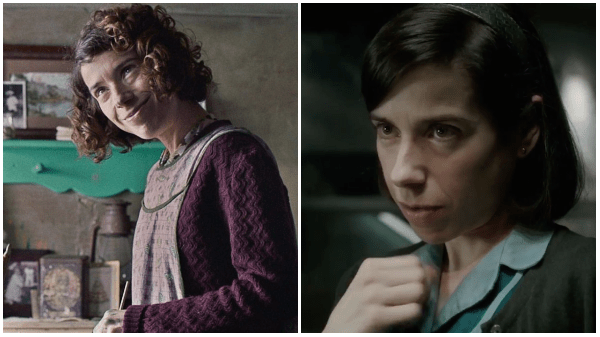 But the most interesting tidbit of these nominations is the double Best Actress mention for Sally Hawkins. No, not a single nomination for two of her performances but two separate nominations – one for Maudie and one for The Shape of Water. That bested the likes of Meryl Streep, whose The Post was locked out of most categories, only earning Editing and Ensemble nominations. Best Actor is an internet dream cast that includes Timothée Chalamet (Call Me By Your Name), James Franco (The Disaster Artist), James McAvoy (Split) and Robert Pattinson (Good Time). Supporting Actor earned two nominations from actors in the same film but not who you might think. Sam Rockwell and Woody Harrelson (Three Billboards Outside Ebbing, Missouri) both got in and, surprisingly, neither Call Me By Your Name actor (Armie Hammer or Michael Stuhlbarg) did. Then there’s that random Oscar Isaac mention for Suburbicon. Additional 2017 films picking up multiple nominations from the San Diego Film Critics Society included The Big Sick, The Lost City of Z, The Beguiled, and Blade Runner 2049. The winners will be announced Monday, December 11. Here is the full list of nominees.